Water Damage Restoration Windsor - Are You Getting Heavy Rain? Here’s How To Avoid Water Damage! Are You Getting Heavy Rain? Here’s How To Avoid Water Damage! As the weather in Colorado shifts from Spring to Summer, rain tends to fall—a lot. So how do you know your roof or your home’s exterior is going to keep the rain out before the leaks find their way inside? At All Phase Restoration, it’s best to be proactive about this and ask yourself a series of questions, which we will share in this post. Prevention is much less expensive than water damage restoration services, even though we’re a water restoration company that services Windsor. Nonetheless, your roof and walls are the first and last line of defense to preventing leaks, flooding, and extensive water damage during or after a heavy rain. When it rains, we assume our roof and walls will keep us dry and safe. In most cases, your home has been built to code and upheld to the highest standards of craftsmanship; however, it’s best to take some preventive action to ensure you don’t experience water damage of any kind. Here are four questions to consider before the next heavy rain in Windsor. Where is all the rain going? For the most part, the rain should hit your roof, run into your gutters, rush in to your yard, and flow away from your home. If at any point these steps are interrupted or not setup correctly, you could find yourself with a flooded basement or leaks in your roof. Make sure your roof is damage free, inspect your gutters to make sure they’re directing water away from your home, and, finally, double check that the landscape around your home is sloped away from the foundation. It can be easy to do a few laps around the house and call your water damage prevention check complete; however, you may want to call a local roof inspector to make sure your roof is damage free. Consider checking the crawl space beneath your home. In some cases, leaks can run from the roof, down the inside of the walls, and end up in your crawl space. You won’t know there’s a water issue until it’s too late. Finally, check your attic, if you have one, for wet spots or mold growth. Sometimes water will make it into the attic but not into the home. If your landscaping slopes away from your home, great! You’re not finished checking the land around your home. In some cases, your property may be directing water towards your home and a small slope away won’t keep the water from collecting against your foundation. Consider installing a drainage system or doing a little landscaping work farther away from your home. If in the middle of a rainstorm, you notice your ceiling beginning to leak, don’t go check the roof. Do what you can to alleviate the issue, but keep your safety in mind. Placing a bucket beneath the leak or simply redirecting the water to reduce water damage is the best case scenario. Furthermore, if your home is flooding, make sure you and your family is safe. Evacuate the area if needed. It’s frustrating to discover your home has taken on water damage, whether you knew it was happening or not. That’s why the experts at All Phase Restoration serve Windsor! 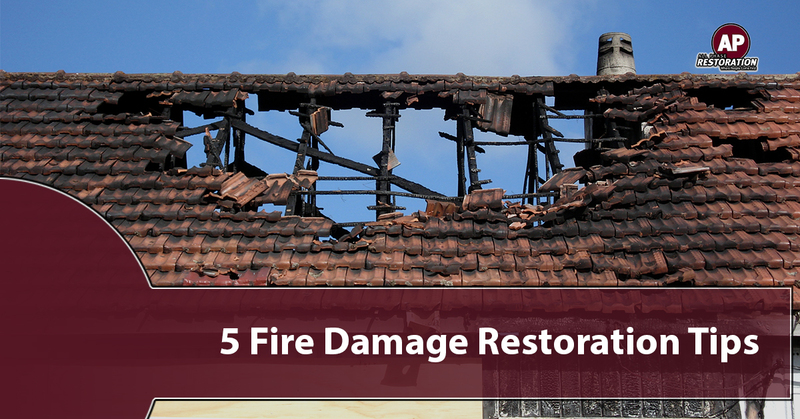 We’re here to help you restore your water damaged home back to its previous state. Call us today to ask questions or schedule a service.